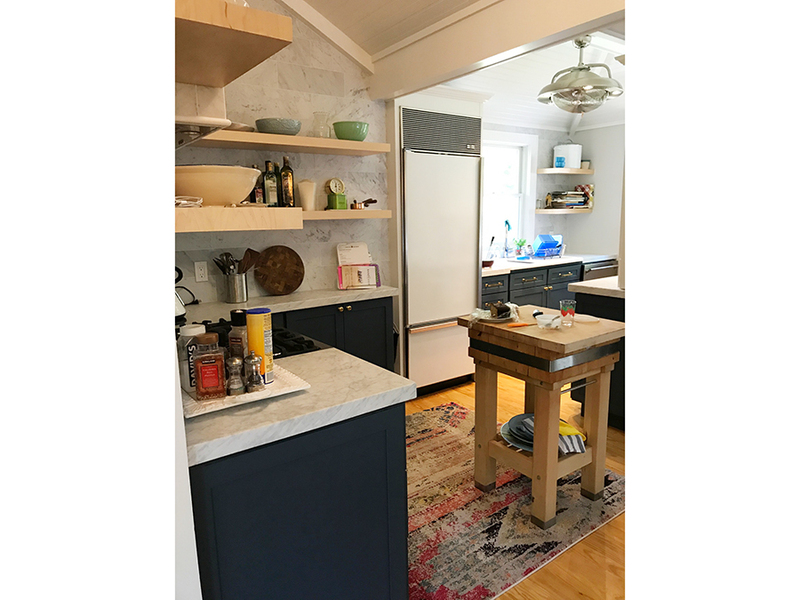 Showplace Wood Cabinetry, Pendleton Full Overlay doorstyle. 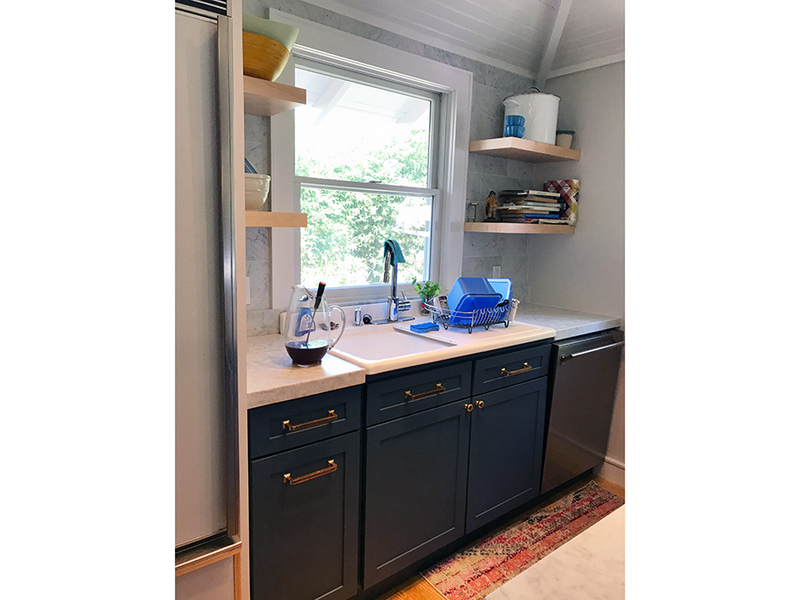 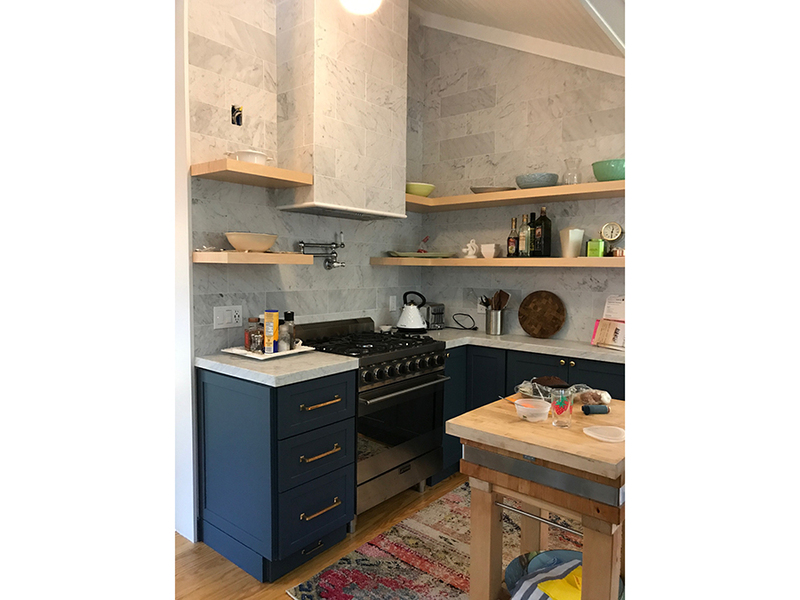 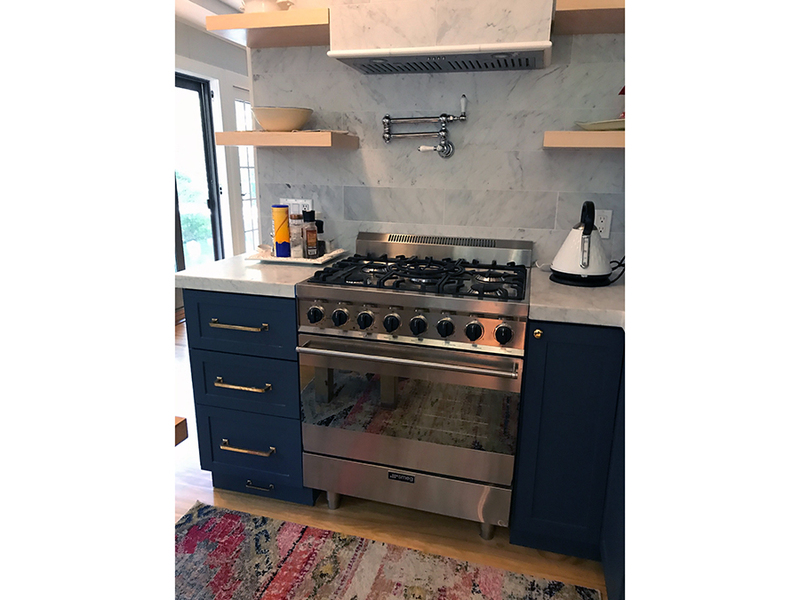 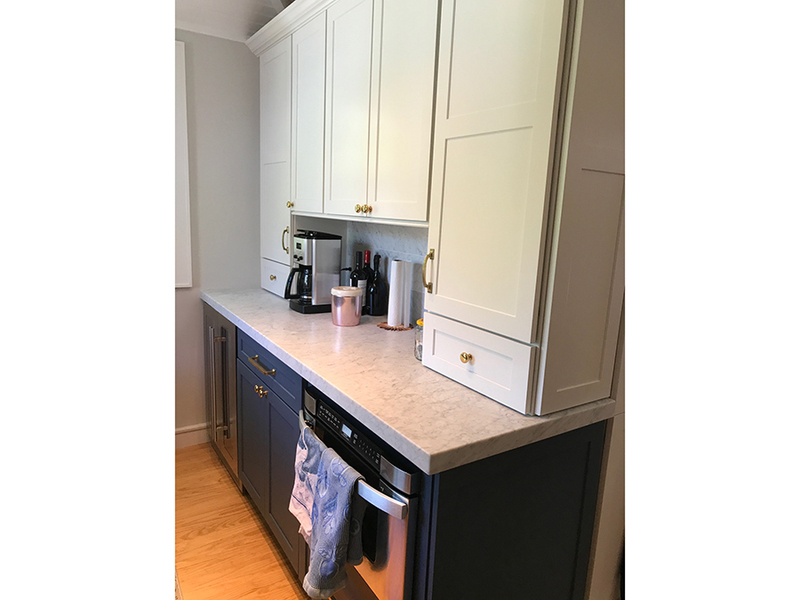 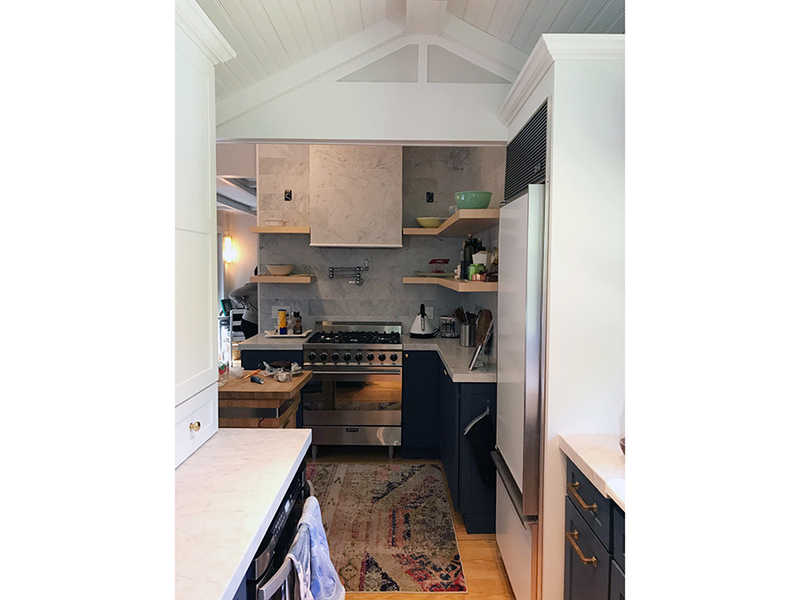 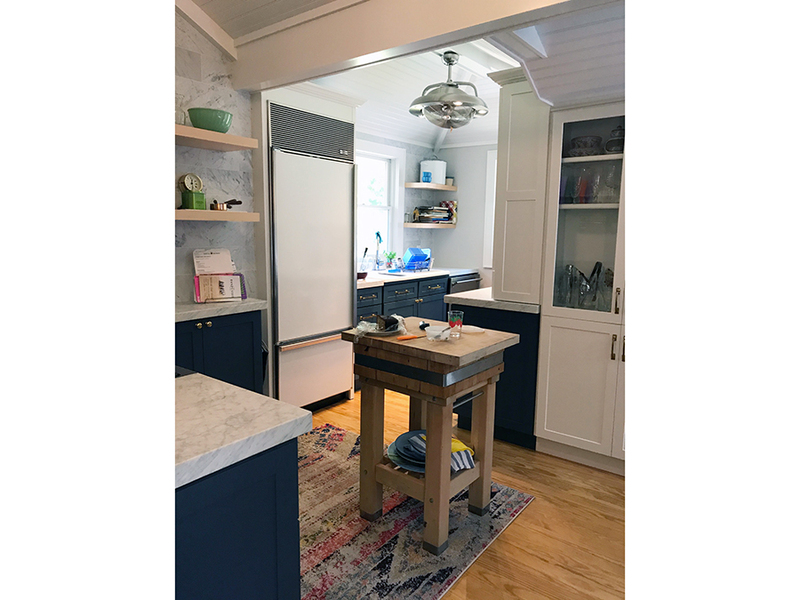 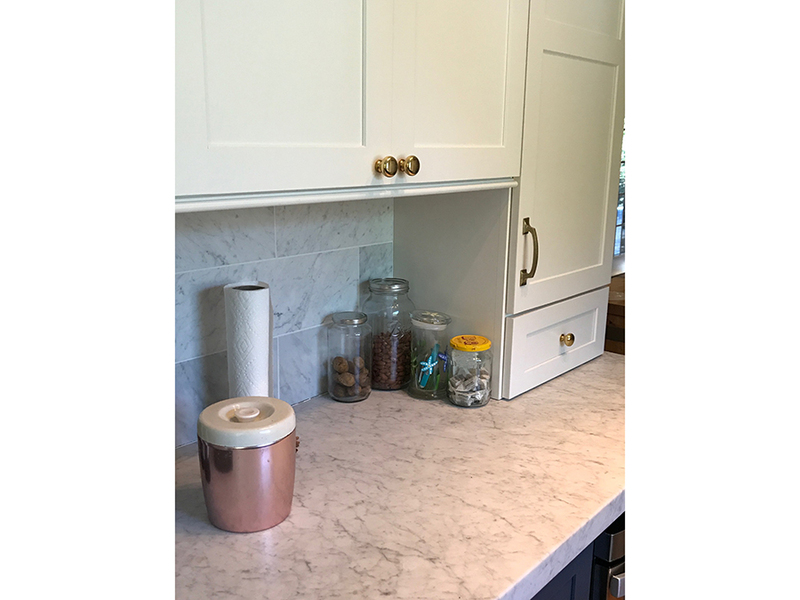 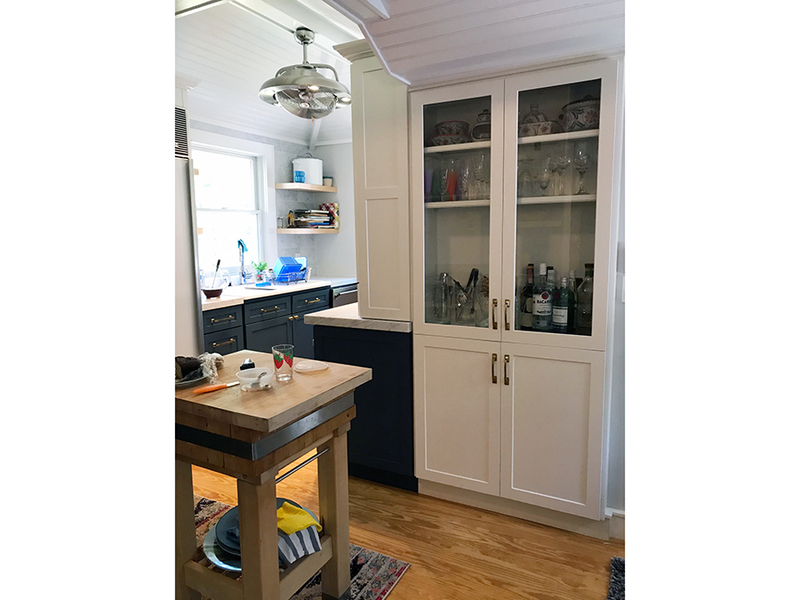 Custom blue paint color for base cabinets is Farrow & Ball, Stiff Key Blue. 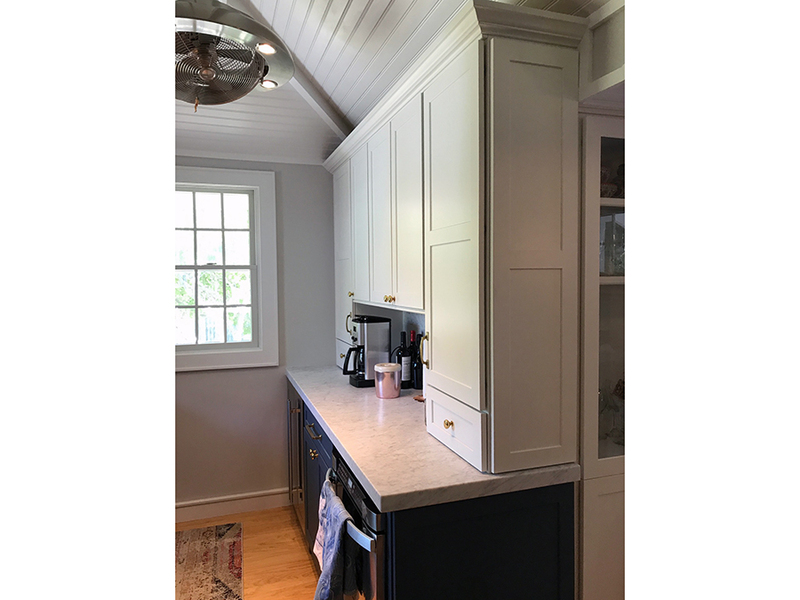 Wall and tall cabinets are in White paint. 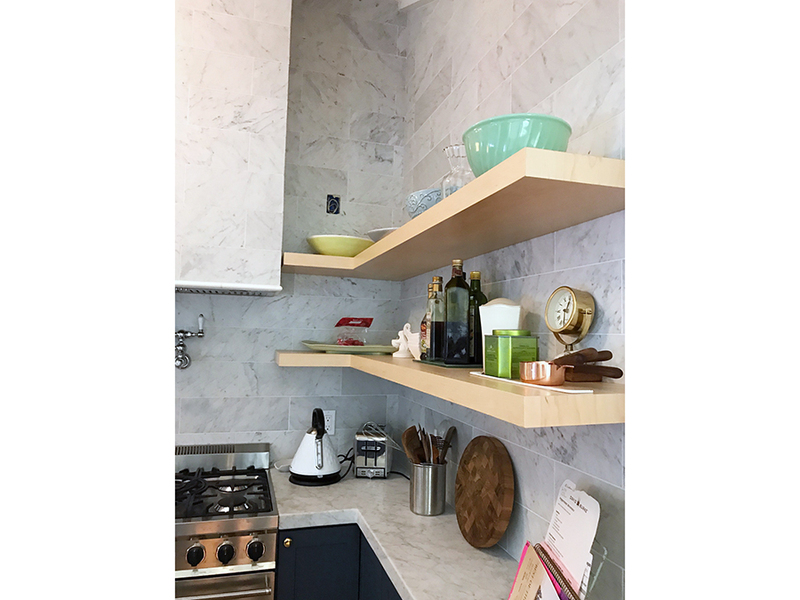 Countertops: 4cm honed Cararra Marble. 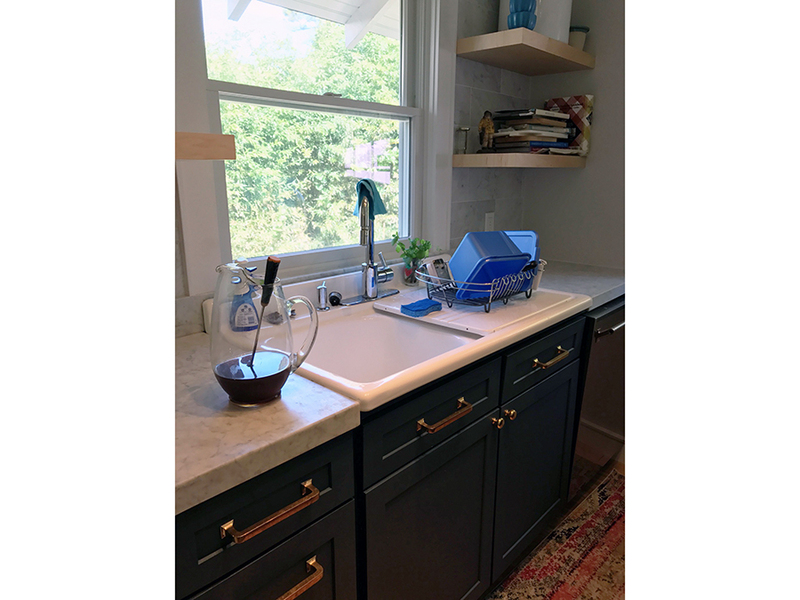 Sink: Reglazed original sink from 1930. 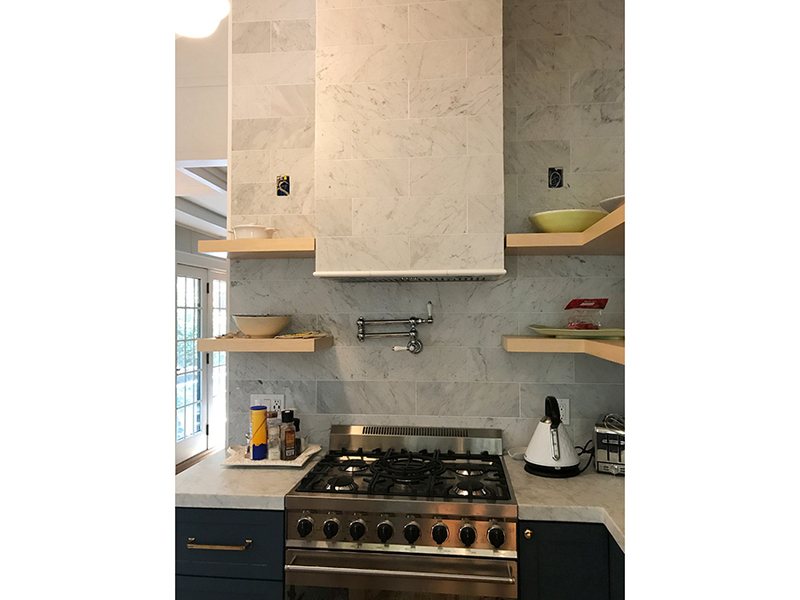 Missing: Sconces left & right of range.